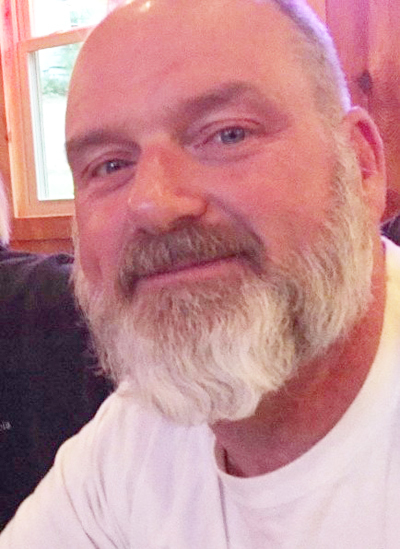 Ronald Lee ‘Rin’ Wray Jr.
Ronald Lee “Rin” Wray Jr., 55, of McClure, passed away Saturday, Sept. 8, 2018, at William Penn Healthcare and Rehabilitation Center. Born Jan. 15, 1963, he was a son of Ronald Lee Wray Sr. and Kay (Wagner) Wray. He was preceded in death by: a niece, Melisa Todaro; and great-nephew, Tanner Howell. Also surviving is: his wife, Lisa K. (Donahey) Wray, whom he married on Sept. 2, 1989; daughters, Sarah Wray, of Burnham, and Maggie Wray, of McClure; grandson, Ryker Williams; siblings, Jackie Todaro and husband, Bryan, of Lewistown, and Scot Wray and wife, Lisa, of Lewistown. Ronald was a Chief Logan High School graduate, Class of 1981. He was employed by Jarden Plastics for more than 30 years. He enjoyed being outdoors, especially hunting and tractors. He was a very devoted husband, father and grandfather. He followed his daughter’s softball games and tournaments. His life revolved around his family. A viewing will be held from 6 to 8 p.m., Tuesday, Sept. 11, 2018, at Heller-Hoenstine Funeral Homes, Woodlawn, 200 N. Main St., Lewistown. A funeral service will be held at 11 a.m., Wednesday, Sept. 12, 2018, at Heller-Hoenstine Funeral Homes, Woodlawn, 200 N. Main St., Lewistown, with Rev. Darvin Donahey officiating. Interment will take place in Belltown Community Cemetery.